Ball valves are used in many plumbing applications, including on a pool's filler tank and on a water, gas and steam line. When a Floating Ball Valve becomes dirty, it may need to be cleaned or polished. A dirty ball valve can start to leak over time, even when the valve has been closed properly. The spherical ball can be metal, plastic or ceramic. Metal balls must be polished to a high sheen to allow for smooth transition between open and closed positions with the seat. The ball edge must have blended curvature to prevent seat wear and leakage. To maintain pressure equalization between the flow path and the body cavity, a hole should be cut into the stem slot. The ball material of construction must be chemically compatible with the fluid stream to avoid corrosion. Valve bodies must adhere to ASME B16.34 for foundry traceability. 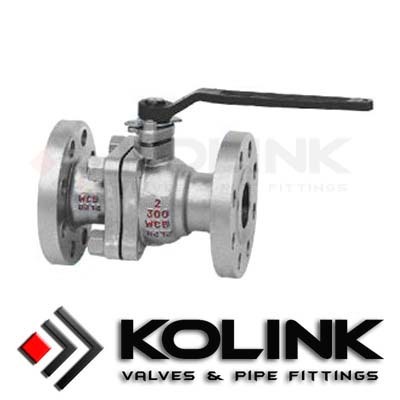 The Forged Steel Ball Valve body material of construction must also be chemically compatible with the fluid stream, and can be metal, plastic or ceramic, depending upon the application. The body seals or seats are the devices that seal the process fluid from diverting around the ball. If the body seal material is not correct, corrosion and valve leakage could occur. Seals can be polymeric (made from polymers) or elastomeric (made from elastomers--moldable polymers). Stems connect the valve handle to the ball and must be properly mated to ensure proper sealing. The stem specifications can include a wide variety of styles and materials based on process conditions. Usually, the ball and stem are constructed using the same material. Stem packing provides a seal between the stem and the body. Valve handles do not have to be of the same material as the wetted (parts touching the process fluid) materials. Handles can be equipped with safety triggers to prevent accidental movement of the ball. Larger valves can be specified to include automatic actuators or gear operators to assist in opening and closing the valve. If you want to know more,please enter the following link:Wafer Ball Valve.